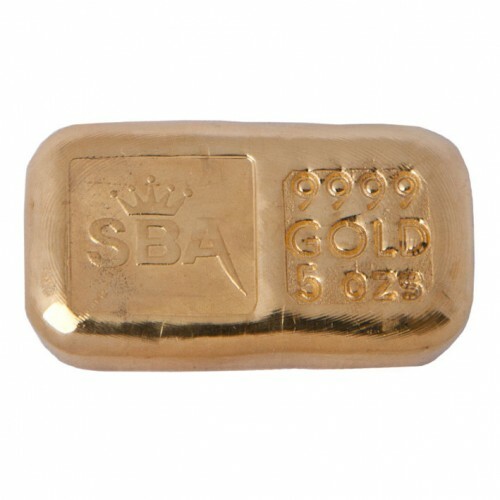 9999+ fine gold bullion bar. 10 Ounce minimum weight. Australian minted, hand cast and stamped with SBA's registered Bullion Trading logo.